“Kendama” is a Japanese skill toy that literally means “sword and ball”. The sword part (“ken”) has three cups and a spike that fits into a hole in the ball (“dama”). At the age of 7, Yusuke entered Japan’s only kendama training school. He has now won the Japanese kendama championship 10 times and also has 2 Guinness World Records to show for his remarkable ability. 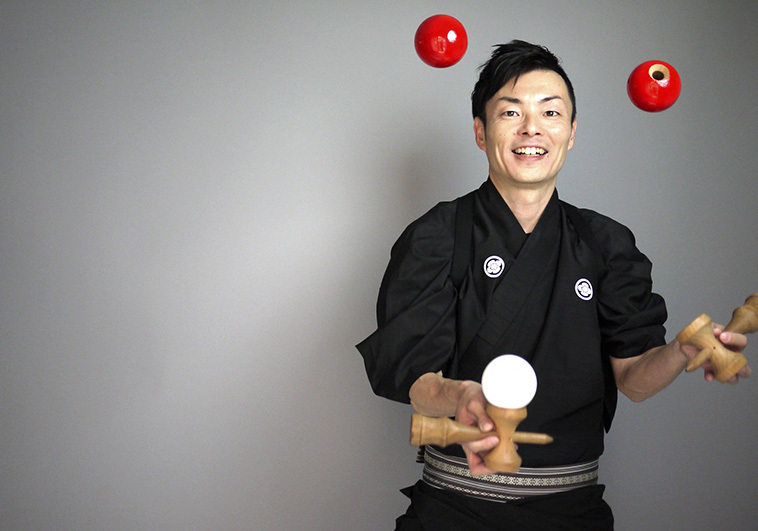 Annually he puts on more than 200 kendama workshops or shows around the world. He is surely, a “master of kendama”.